I wasn’t sure what to expect when I picked up this book. It sounded good for sure but I had never encountered a similar storyline. It immediately appealed to me because I always appreciate a story with originality, and I am always drawn to a tale with love and supernatural aspects. The beginning of the book drew me in immediately. The main character, Lindsey, is thrown into a world of chaos but is surprised when she discovers love. 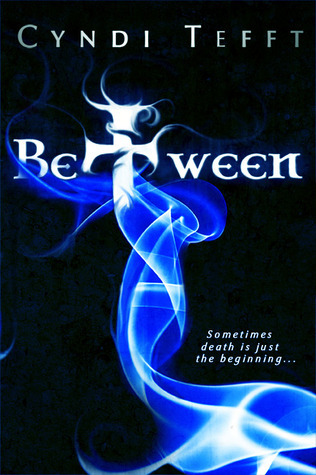 Between is for the older YA age range leading to NA as there are very mild love scenes, but it is definitely sweet and not explicit. This would be a good “beginner” level love story for an older teenager. Despite her traumatic events, Lindsey is drawn to Aiden who is incredibly handsome and sweet and thoughtful and best of all, even though Lindsey doesn’t have a super skinny super-model body (a fact that I love! ), he thinks that she is absolutely beautiful and he makes it perfectly clear that her curvaceous body is perfect and beautiful just the way it is. As the story progresses, the two get to know each other through magic and wonder. It’s simple and fun and makes for a light-easy read. Just when I thought I had the story figured it, Cyndi Tefft threw in a few HUGE surprises. Even though the story was really good for the first half, it had me on edge and turning the pages faster as I neared the end. I have already ordered book 2 in the series, Hell Transporter, and absolutely can not wait to get it! !